Since the release of PUBG Mobile on iOS and Google Play, there are tons of emulator popping up in the internet, providing mobile gamer a way to play the PUBG mobile straight to their PC. But most of these third-party emulator has lots of problems; mouse controls are not fully supported, issue with the graphics and some unknown issue with hardware requirement. Tencent recently launched the official emulator for PUBG Mobile, the Tencent Gaming Buddy a gateway to a great mobile gaming where you can enjoy the PUBG mobile in PC. It fully support mouse and keyboard controls, just like playing the PC version of PUBG. The good thing with this is, its FREE! 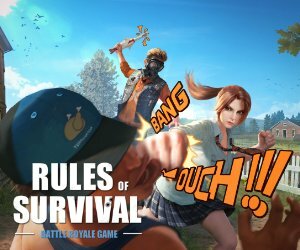 How to Download the Official PUBG Mobile Emulator? Currently, it is now in Beta, and you can download the emulator at http://syzs.qq.com/en/. When you play PUBG mobile in the emulator, you’ll also be matched with other players who plays on the emulator as well. This is to ensure fair gameplay with players on mobile devices. There’s also an Ultra HD resolution settings that support 2K resolution that makes your graphics more vivid. Of course, it didn’t match the graphics of the PC version – but textures and 3d objects are improved. For the Ultra HD 2K to work, it requires a higher Graphics Card of at least GTX 1060. You may also max out these settings through the options tab in the emulator. When installed, the emulator consumes almost 100mb of size and only available in Windows. Is the match in the PUBG Mobile Emulator full of bots? It depends on the answer you choose when the game asked you how familiar you’re with the game. It has three options; Rookie, Experienced and Pro. If you don’t want to play with bots, you have to choose the Pro option. Here are some screenshot from the Tencent Gaming Buddy emulator, PlayerUnknown’s Battlegrounds Mobile. Failed to initialize rendering engine. Update your graphics driver with Driver Genius. Fixed: Don’t install the third party Driver Genius, just restart your computer and it will work. Thanks for Emulator. Today i can update PUBG from mobile to PC. Best experience in pc. Hi, did you update your Graphics Card driver already? If you’re using AMD or NVIDIA, please go to its website and download the latest driver for your GPU. Failed to initialize the rendering engine. Update your graphics driver with Driver Genius any solution for this error ????? why do i so lagg..eventhough i have 4gb ram intel pentium r 1.8ghz 64bit direct x 12..i even choose smooth ghrapic but its lagg like hell..do someone know why?